Contrary to the news, press releases are not dead. And writing press releases that appeal to the media is as relevant as ever. Despite the popularity of social media channels as sources of news, press releases are still alive and useful. And like other marketing and promotion materials that are evolving with the coming of digital marketing and technology, press releases are gradually changing with the times. And as they change, press release are making inroads in various media channels. In a recent article about press releases, Forbes Magazine said that in the US alone, approximately 2,000 press releases are sent out to journalists every day. The numbers could be higher than this considering the new channels where press releases are distributed these days. The same article said Japanese computer game maker Nintendo generated about 500,000 views on its website and a 60 percent increase in its social media traffic when it issued a press release about a top executive joining the company to drive its retail business. The results showed that press releases are still alive and useful. 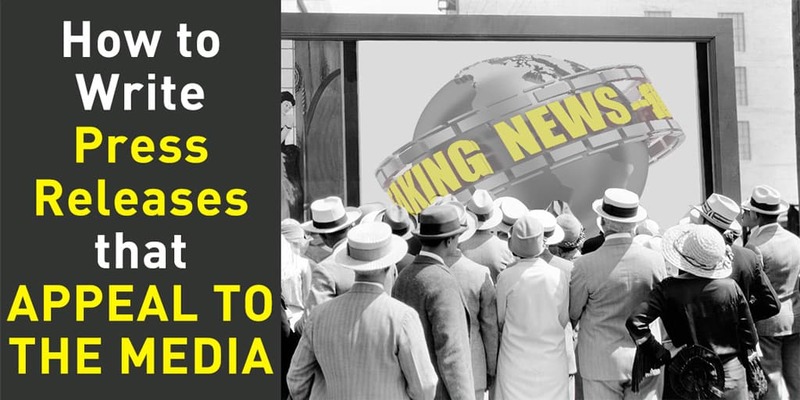 In this post, you will get some useful and practical tips on how to write a press release that appeals to the media. 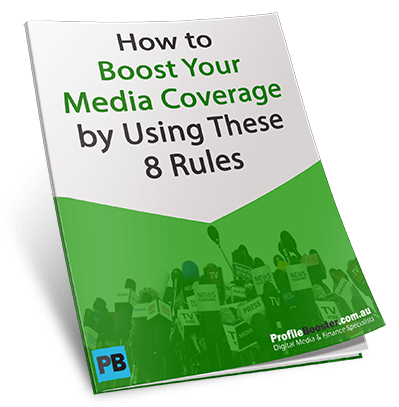 You will also pick up some techniques on how to boost the reach and effectiveness of your press releases in this age of digital marketing and social media. Make sure that you are announcing something that is of interest or useful to the media and to the readers. Just because something is interesting to you does not mean it will be of interest to the media or to the readers. A checklist of questions to ask to determine if you are announcing something ‘newsworthy’? Are you announcing something new? Is it first in the market? In Australia, in Asia or in the world? Will it affect a large number of people? Who will benefit from it most and how? Is it something rare? Something that’s not been done before? If you’re announcing something newsworthy or interesting, write about it in a simple and easy to understand manner. Use simple and short words and sentences rather than big sounding words. If it is something about a technical product or service, try to find a way to illustrate it or to make it easily understandable. If it is a complex topic, use illustrations, diagrams and examples to explain it. The Gunning Fog Index is one of the tools you can use to measure the readability of your press release or anything you write. The Fog Index is commonly used to confirm that text can be read easily by the intended audience. The higher the index, the higher the education level required. For example, an index rating of 12 means it can be understood by a high school senior student. According to this index, if you want to reach out and be understood by a wide range of audience/readers, your text needs an index rating of below 12. If you really want to be understood by almost everyone, you should aim for an index rating of 8 or 7. We have produced a press release template that you can use as a guide to writing effective press releases. Keep your sentences short. Ideally, a sentence should have 25 – 28 words. Anything with more than 30 words will be difficult to read and to understand. Many people have fallen into the trap of using adjectives and superlatives as they try to impress with their writing. The problem with adjectives is that that they could be very subjective. What is beautiful to you may not be beautiful to others. What may be cheap to you may not be that cheap to others. Instead of using adjectives, try to describe things and people as there are. Here are some examples, of how you can show and not tell. If you want to say someone is rich, you can write someone who has a multi-million dollar mansion, three holiday homes, two Porsches in the garage and an 80-feet yacht at the marina. Instead of saying something is easy to use, spell out the 1-2-3 step of how to use it. Using analogies to add flavour and colour to a press release is one of the most effective ways to make it interesting to the media. That paints a picture of a strong and fast moving currency being compared to a rampaging bull. Include images (e.g charts, graphs and illustrations) and pictures that will make your press release more appealing. These will also help journalists to have more materials to work with. Video clips are also increasing in popularity and usage even in traditional media channels. You can include Youtube video clips to your press releases to boost its appeal and reach. Use the highlights of your press release as social media posts that will drive traffic back to your site. Include a dedicated In the Media page on your website for press releases and media coverage. This will also help in driving traffic to your site. Don’t use industry jargon – as much as possible use words that are common and easily understood by the general readership. If you use terms and words that only people in your industry can understand, most likely other people will be turned off and not read it. Sometimes, press releases in the financial services industry can be notorious for their use of jargon. Make your press release more readable. Keep them as jargon free as possible. Don’t blow your own trumpet – your press release must highlight the benefits of your product or services or whatever it is your announcing. It is not about how great your company is. So, stick to describing how readers can benefit from your announcement. Don’t make any claims you can’t substantiate – many companies want to claim that their product or service is the first in the market. This is understandable as first to market is definitely an advantage. However, if you know that your product or service is only a copy and not really the first to market, don’t claim that it is. Most likely the media (and the readers) will ask questions and will find out if it is or it isn’t. So, stick to the benefits and forget about being the first to market (if it is not). As mentioned earlier, press releases are alive and well. And they play an important role in today’s world dominated by social media and digital marketing. Contact us if you have any question or if you need help in writing press releases. Or if you need a solid strategy to boost the reach and effectiveness of your press releases, call us and we’ll be happy to help.